"Good tool if you want to sketch up ideas, but cannot replace PowerPoint or Keynote"
The cloud-based aspect of the Google apps remain the #1 feature, and the ability to access my docs from anywhere (regardless if I'm on my computer or a public computer) is stellar. Google Slides provides a superior experience when collaboration with others is essential, natively tracking changes (like who edits what) and allows viewers to comment without making changes. Much like with Google Docs, there just aren't enough slick and beautiful features to make an impressive presentation. Google Slides is a good place to start gathering ideas for what an eventual PowerPoint or Keynote presentation might look like. If you really want to see this in action, create a presentation in PowerPoint, upload it to Slides and see what happens. At least half of the formatting is missing in Google Slides. I'm not sure I can recommend Google Slides to anyone who is serious about making a nice presentation. It's great for sketching up ideas, but it's the right tool for a real professional presentation. If that's what you're after, you should avoid Google Slides and go for something like Microsoft PowerPoint. 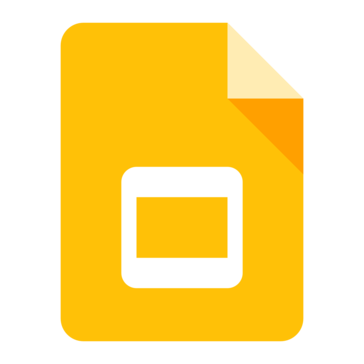 Google Slides doesn't have the same benefits as its other apps (Docs and Sheets), but it remains a good option for when a group needs to collaborate on the structure of a presentation. Learning about Google Slides? We can help. "Una aplicacion imprescindible para trabajar"
Google Slides forma parte de las aplicaciones que ofrece Google de manera gratuita y que permiten hacer trabajos profesionales en nuestro negocio, con Google Slides es posible crear un documento de diapositivas similar al que podriamos hacer en Microsoft Office con Powerpoint pero con la diferencia de que en esta aplicacion trabajamos de forma remota, a traves de la nube por lo que la aplicacion se ejecuta a traves de nuestro navegador por lo que es necesario contar con una conexion a internet. Ademas al funcionar sobre los servicios de Google contamos con la sincronizacion que nos permite almacenar nuestros trabajos en nuestra cuenta de GMAIL haciendo uso de Google Drive, desde la misma aplicacion es posible compartir con nuestro equipo de trabajo los documentos mediante un simple enlace URL. En cuanto a su interfaz no hay sorpresas y presenta la misma que la del resto de aplicaciones de Google. El unico aspecto negativo es que no permite abrir o importar ficheros de diapositivas creados con ciertas suites ofimaticas de forma que en este terreno estamos un poco limitados y deberemos empezar el trabajo desde cero puesto que no tenemos la posibilidad de continuar el trabajo empezado en otro sistema. Recomiendo el uso de Google Slides especialmente para empresas que busquen flexibilidad en sus trabajadores de forma que puedan hacer eso del trabajo remoto (tele-trabajo) a la vez que tambien lo hacen desde su puesto fisico en la empresa. Tambien me parece que es una excelente opcion para todas las personas que busquen la comodidad de trabajar en la nube. Personalmente lo que resulto mas util de la aplicacion es que al funcionar sobre la nube se nos otorga una flexibilidad a la hora de trabajar que no tenemos con las aplicaciones de escritorio, usando Google Slides puedo trabajar desde mi telefono movil o mi computadora e incluso desde mi tablet. "Google Slides will not disappoint you." it is not the exception, in several occasions its self-preservation of information has saved all the progress that I have in a slide, besides it has no cost has a very modern and minimalist interface. Finally the fact of being able to access Offline from any other device is excellent to give a final touch to your projects before presenting them. Despite being an excellent tool Google Slide sometimes has system errors, one very common is the image load from the order, by selecting several images from your document attached all creating a large image in the form of collage, that is usually annoyingly. 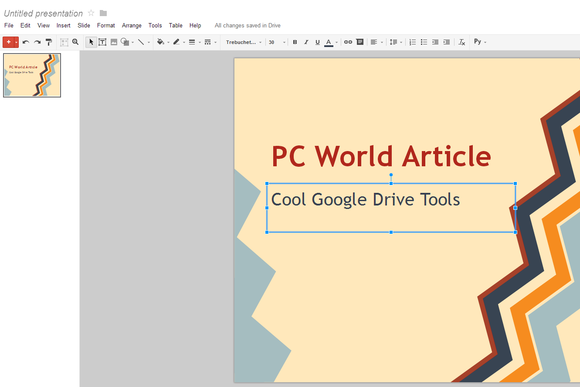 If you are looking for alternatives to other creators of presentations, the most compact, economical, multifunctional and fluid you can get in the market will be Google Slide. Previously we used other programs to create slides but we started to have problems because we had to buy that product or pay large sums of money for very simple programs that only live on the fame, instead Google Slide revolutionized all this, it's free and compact, any of children can use it freely and when computers have problems we can access from the tablet and if it works fluid. 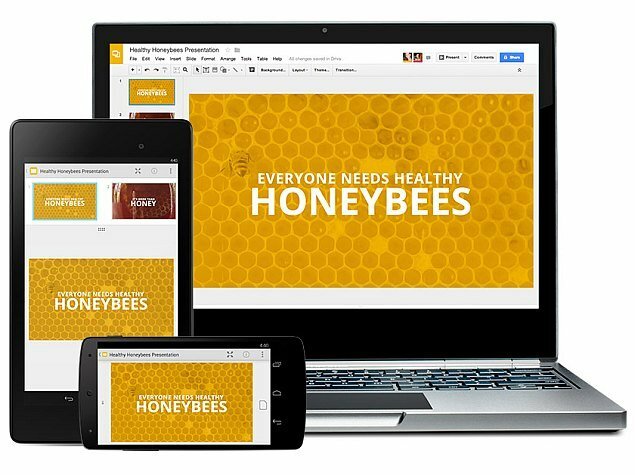 Google Slides is an online solution that allows you to create presentations and collaborate on them. The main advantage of Google Slides is the fact that this solution is available completely free of charge and thanks to its use we can, together with several people, work on one project, so that we significantly save on the purchase of a competitive solution with similar capabilities. Another advantage of Google Slides is that our projects are saved on Google Drive, so we can open/edit slide shows on any device and quickly share the URL to them. Google Slides allows you to save our slideshows in PDF format and to integrate with the YouTube platform. One of the disadvantages for insignificant users may be the fact that this solution is based on a cloud solution, which is why we need access to the Internet. If you are looking for a solution that will enable you to create interesting presentations, you should consider trying Google Slides for this purpose. 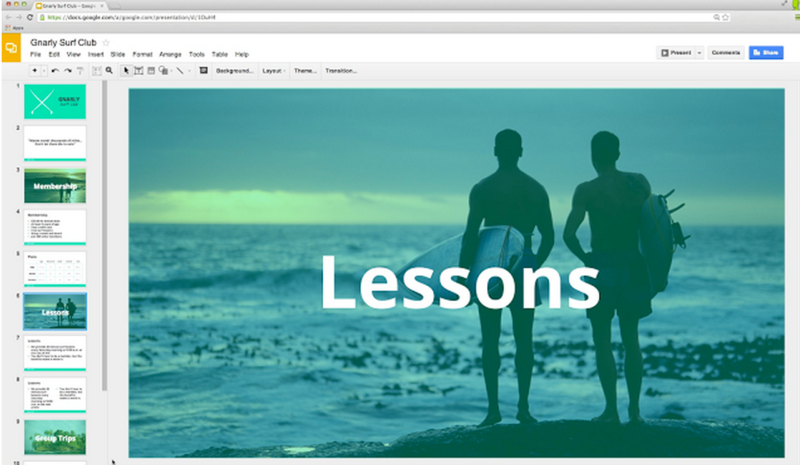 By using Google Slides, I can create presentations and edit them together with team members or friends. "Slideshow creator, with good features." About this company I like that I can create very professional slides easily from any device and from anywhere in the world. It allows me to use the templates that come with an excellent design or start from scratch any presentation. Also this platform is synchronized and saves every second all the information I'm writing, this is really useful because with an Office I lost information due to technical failures in my computer. In addition this platform allows me to download the file in all formats, so it has compatibility with other platforms. About this tool I do not like that it has many limitations, the storage of this platform is reflected in the Google Drive, therefore I only have 15GB of storage for free, you can not store much information that exceeds that amount of storage. It is easy to use this platform, but the vast majority of people are used to using PowerPoint or similar, when they start using this tool some options are not equal, and that makes it a bit difficult to learn to use 100% of the platform . I am a big fan of this platform, but I must tell you that you must create strong passwords to store your slides well. The templates that Google Slides offers are good but for some more professional slides we need to look for more options, I recommend searching the internet for more slides, there are many websites that offer even more professional templates than Google Slides offers. Google Slides has solved several problems of my company, it has really allowed me to share files between my team for some presentation or video conference, we edit it between two or three people, we add and modify information. It has helped us to create the slides in a simple and interactive way.